We guess every housewife has a cabinet that holds the various types of cleaning products at home! Do you come in your mind that you need only one thing to be your home clean? Besides being the cheapest way of cleaning, it is very efficient. It’s the salt! Besides cooking can use it for cleaning! 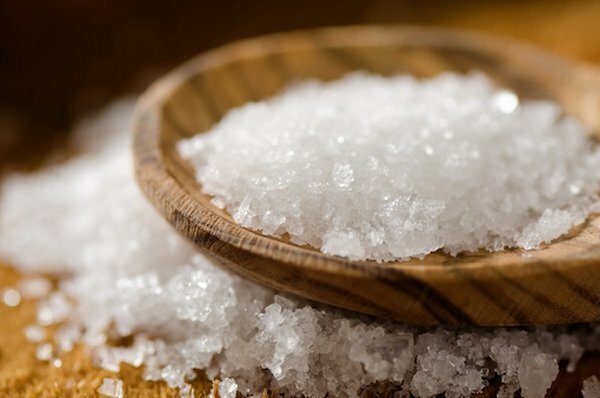 Here are 12 ways that can clean your home with the help of salt. 1. To clean metal objects in your home, you need salt, flour and vinegar in equal amounts. When cleaning with that compounding will be fascinated because all metal objects in your home will shine! 2. If you have stains on your favorite rug, do not worry! Sprinkle with salt. Wait a few minutes, then knock down the salt with a vacuum cleaner! Then you will be dismayed when you notice that the stain of no trace! 3. How many of you ladies, trying using steel wool to remove burnt grease in the pan? First, wasting your nerves, and secondly – it can scratch the surface! And so easy – just as soon as you use the pan, sprinkle it with salt, wait a few minutes and then rinse! The pan is like new! 4. If you have coffee stains on your favorite blouse or tablecloth – do not worry, help will again come to the salt! Rub a large amount of salt on the stain, wait to work and voila! You have a new cover and a new shirt! 5. If you have a kettle for boiling water and want to clean it, fill it with water, add four teaspoons of salt and bring to a boil! Then rinse and you’re done! Keep following our blog and in the next post we`ll tell you more ways for salty cleaning.